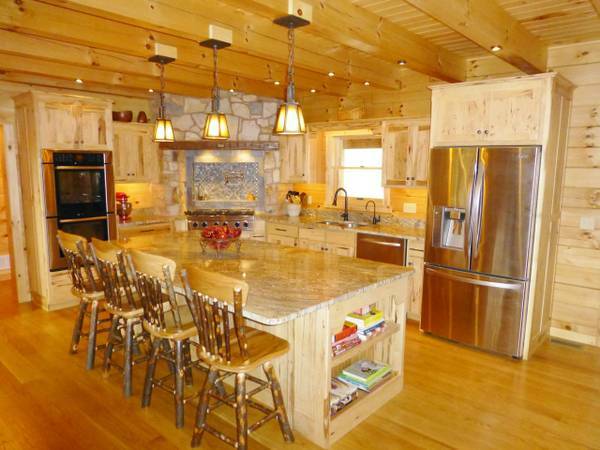 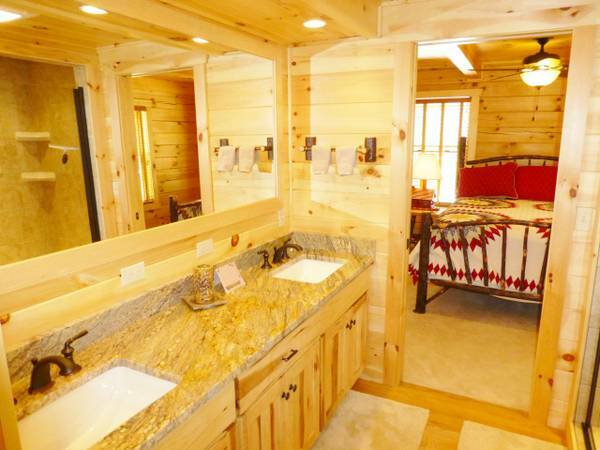 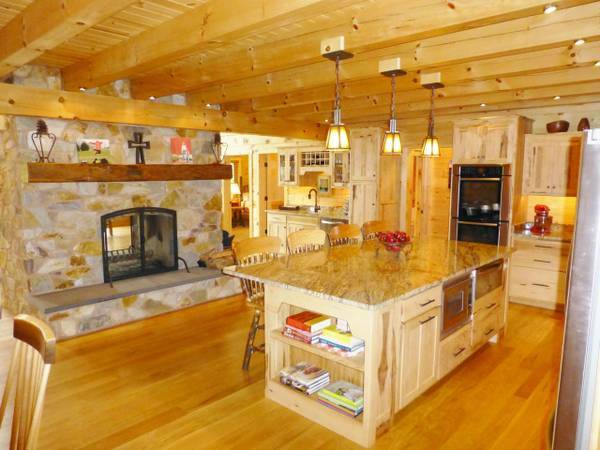 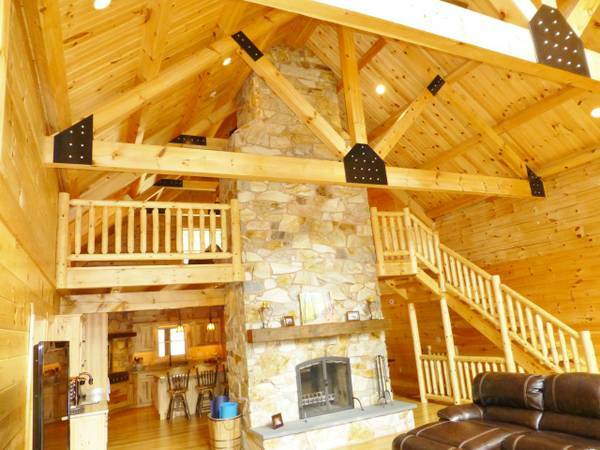 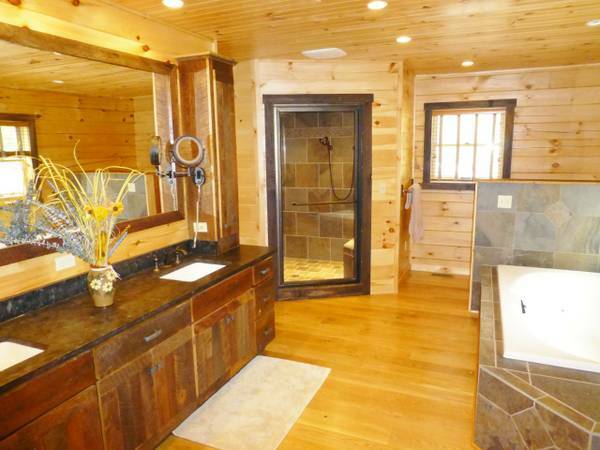 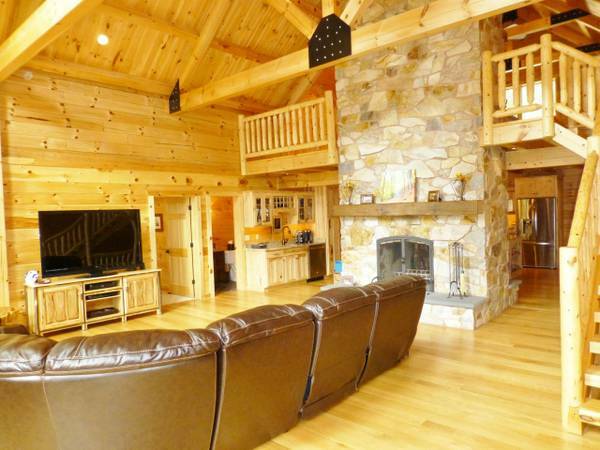 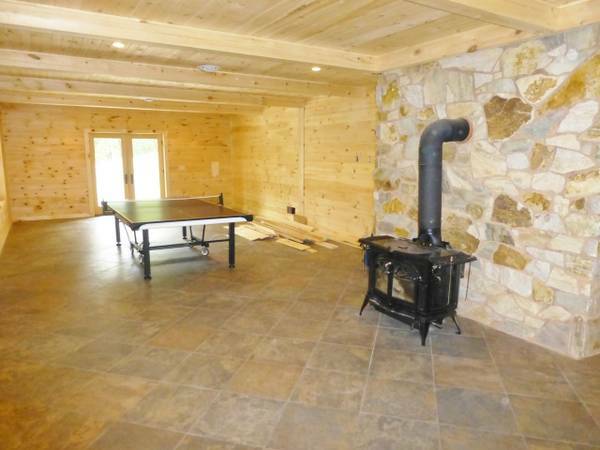 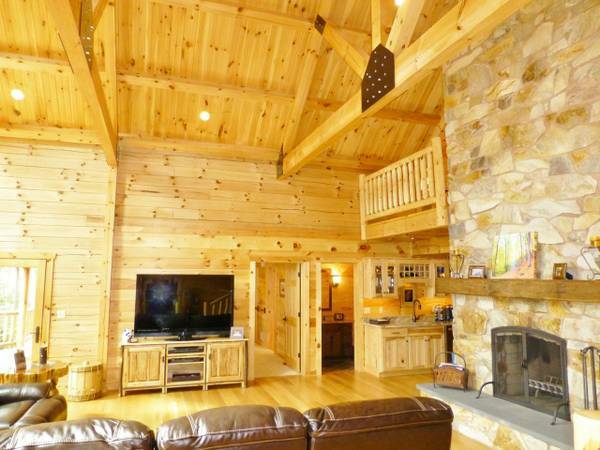 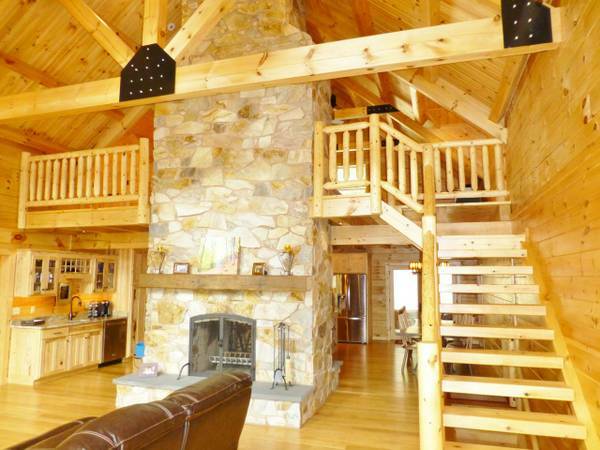 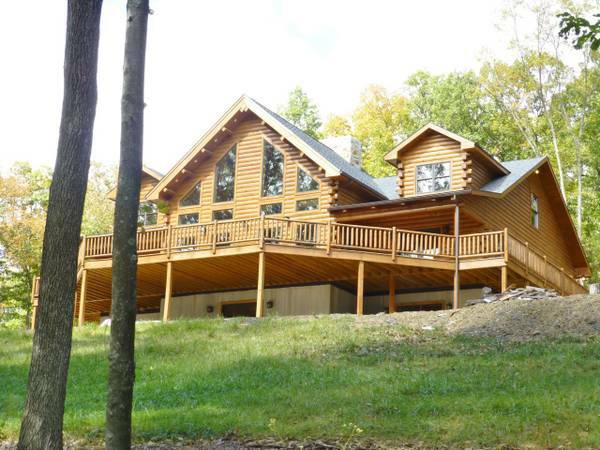 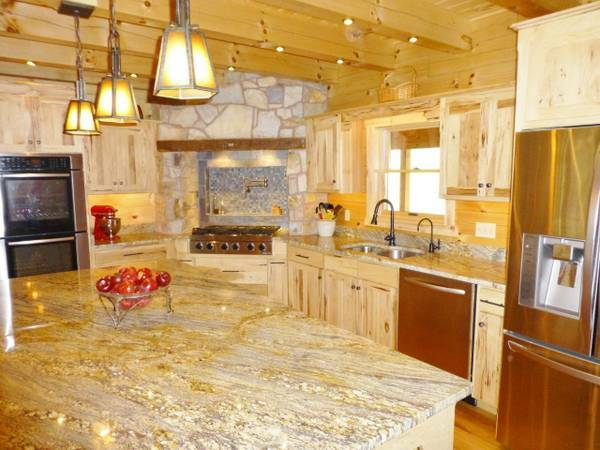 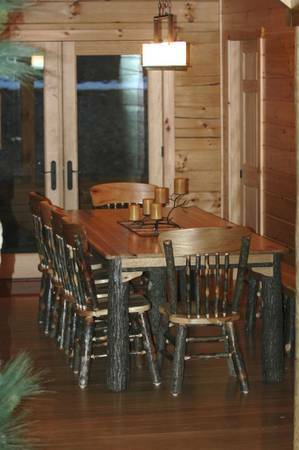 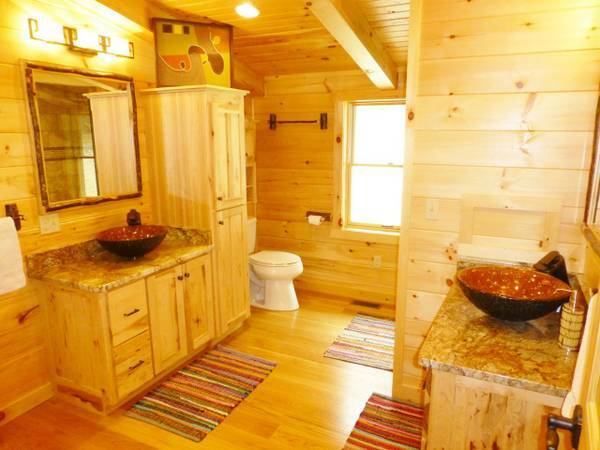 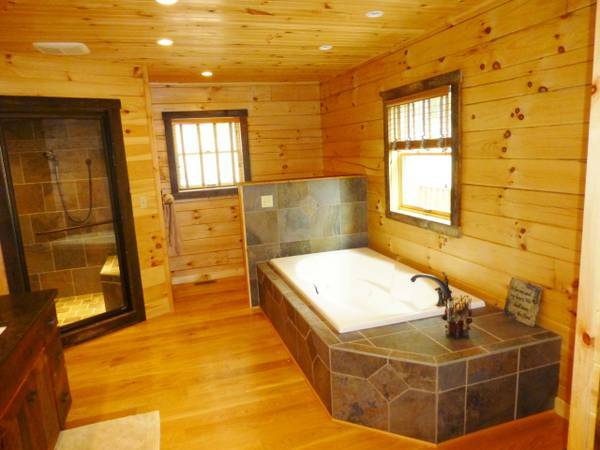 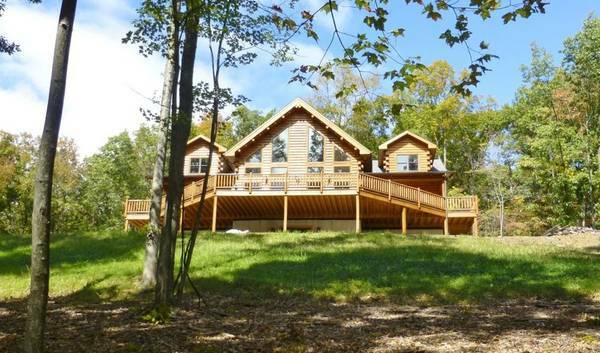 Bear's Paw is a new, custom log lodge on a private mountaintop in central Pennsylvania. 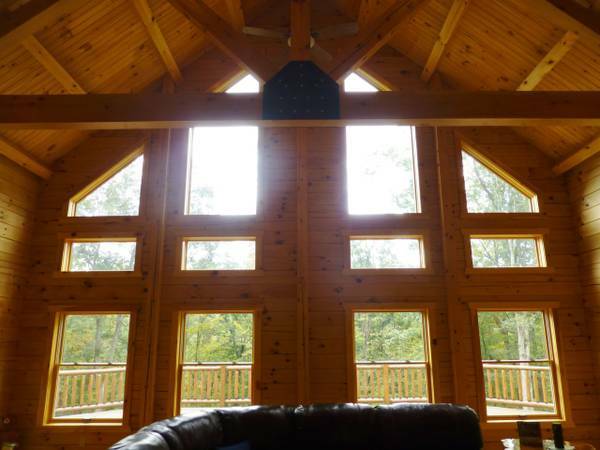 The lodge offers many special amenities such as a gourmet kitchen, stone double-sided fireplace, a great room with a wall of windows and a spacious wrap-around deck connected to a screened in porch. 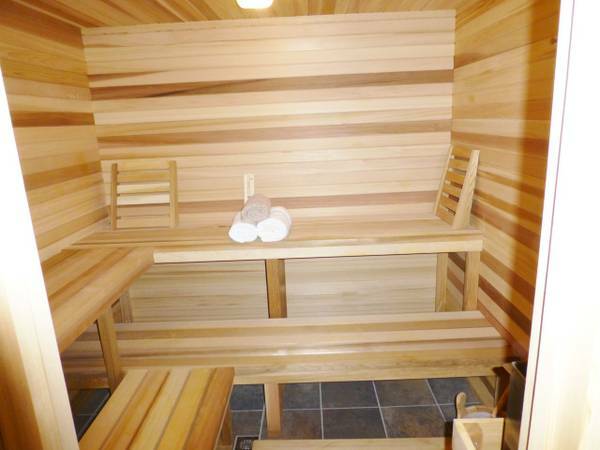 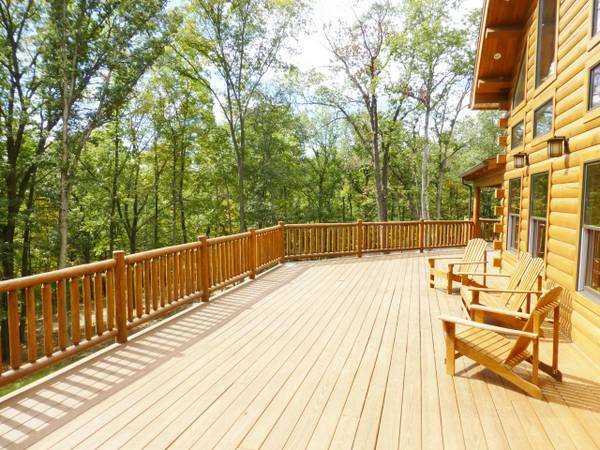 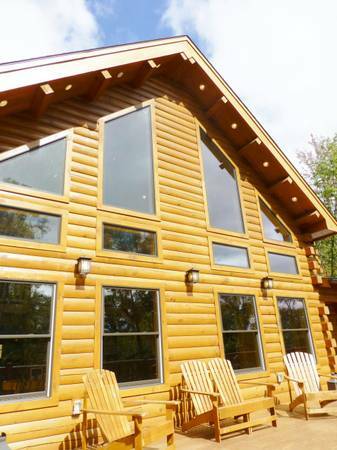 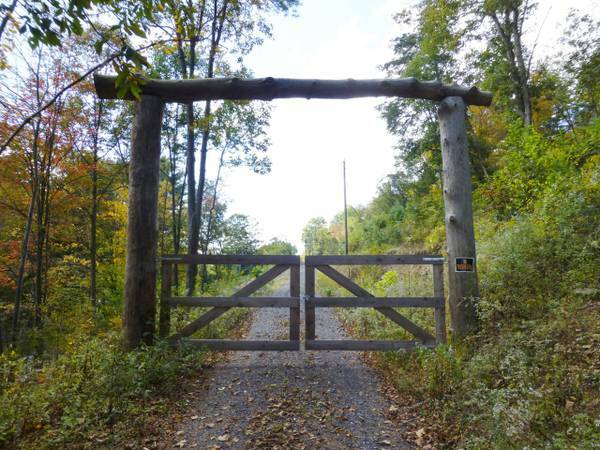 You can relax at the lodge, head out on the lake, or explore the 40 private wooded acres. 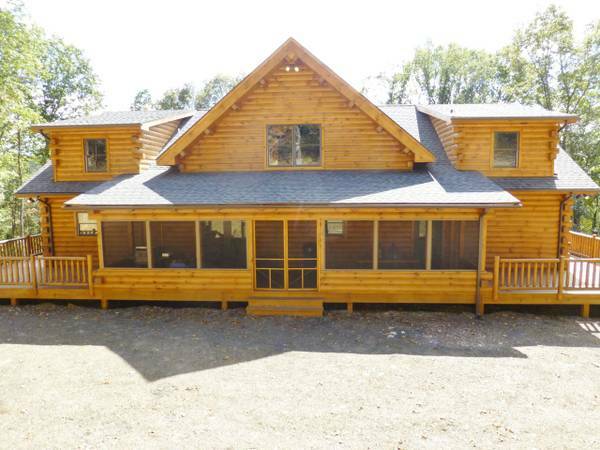 There's space for a large group of family or friends with six bedrooms, six baths. 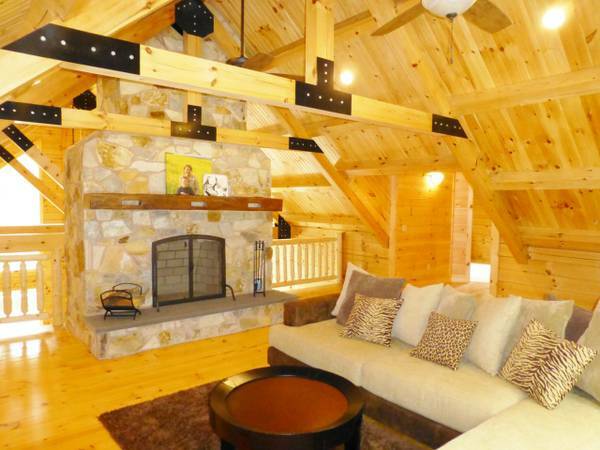 Luxury abounds in the vaulted living room, loft, and garden level with a sauna. 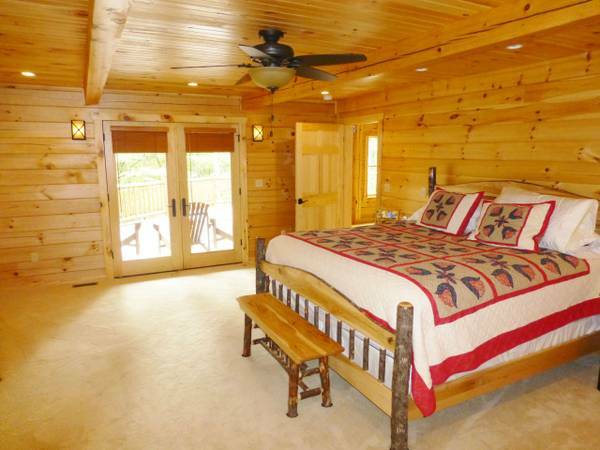 Bear's Paw Lodge will exceed your expectations with fabulous accommodations and a commitment to customer service. 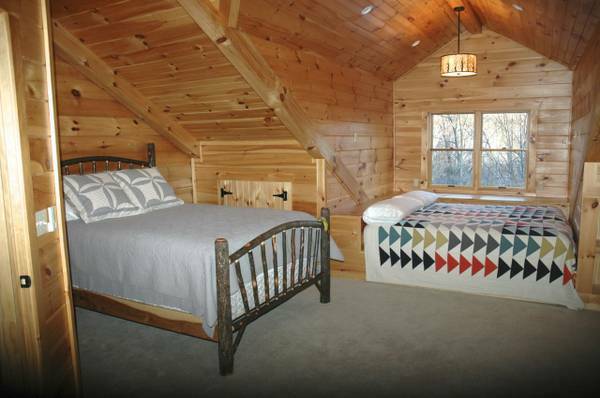 All guests must be at least 25 years of age unless accompanied by parents or chaperones.